It's Just Mobolaji | Music & Entertainment: Beyoncé's Full Interview For "Oprah's Next Chapter"
Beyoncé's Full Interview For "Oprah's Next Chapter"
Beyoncé has come so far since her days in 'Girl Time' and 'Destiny's Child'. 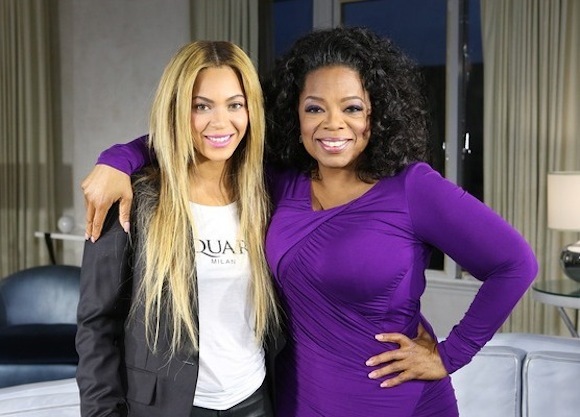 Now as a solo artist, a wife, mother and everything else, Beyoncé sits down with the legendary talk show host Oprah Winfrey for this interview for "Oprah's Next Chapter" on Oprah's channel 'OWN' just minutes before Beyoncé premiered her documentary 'Life is but a Dream' for the HBO Channel. In this one off interview, Beyoncé speaks openly on many things including her Super Bowl performance, Kelly Rowland, recording her documentary, her father - Matthew Knowles, on how motherhood changed her life, and even how her husband rapper - Jay Z has impacted her life and vice versa. It's definitely good seeing Beyoncé still do what she loves, but yet take on motherhood and balance her whole life out. I loved every minute of this interview, Beyoncé laughs, answer all the questions modestly, she really just keeps it 100. It's nice to see her chilled like this. Watch the exclusive interview below if you haven't already.